1993 Australian registered S and S Yankee 30 for sale. Features include new 105% jib on furler and main from Yancy Smith at Ullman Sails, overhauled mast/boom and replaced rigging, 8 opening ports in cabin, new engine mounts, new cutlass bearing and flexible coupling, new Saniloo treatment works and toilet, new rigid boom vang and very good presentation. She has a good level of navigation and electric equipment. All the work is done and she is ready for sea. Manson Supreme Galv 25 lbs (11.2 kg) with PWB L Grade Galv Short Link Chain 10mm (3/8) 45m. Manson Plough Galv 30 lbs (13 kg). Rule-Mate 2840 L/h 12V full Auto Bilge Pump + Manual Bilge Pump. Rule 12V Turbo Bilge Blower 3"
New Trojan J305P-AC 6V 330Amp/h 20-Hr Rate (2x6V house batteries in series), x1 12V start battery. Solar Panels BP 2x80W with Solar regulator 12V 20Amp. New 105% Cruise Laminate Ullman radial cut headsail on furler. New Cruise laminate Ullman fully battened main with roach. Both designed for the boat by Yancy Smith Ullman sails. Good Asymmetric Spinnaker with new sock. 2 larger genoas, one light one heavy. Good Condition. Storm sails including trisail and storm jib in good condition. Mast/boom Fully refurbished 2016. Rigging Fully replaced 2016. Forestay furler Furlex fully refurbished 2016. Electric 12V Muir 1250 anchor winch with local and remote operation (cockpit), x4 cockpit winches, x2 mast winches, x1 boom winch, 4 step telescoping boarding ladder (permanently attached). Great looking boat with a great tradition from Sparkman and Stephens. Yankee 30's as they are known in the USA, are excellent sea kindly boats. The waterline length of the S & S 30 is greater than the S & S 34, providing great stability and good boat speed. This is a very good offshore boat with a well proven design. 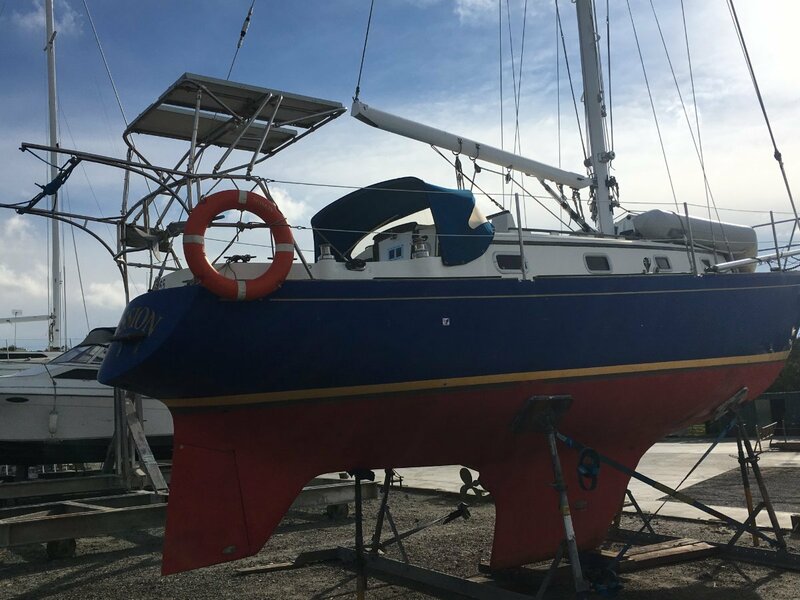 Antifouling scheduled 08/2018. The boat successfully completed Tin Can Bay to Western Port voyage. Owner upgrading to larger boat. Full inventory is available on request.